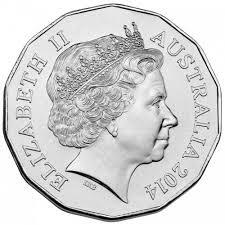 A proposed set of changes to Australian coins. Remove the 5 c coin. Follow USA/Canada and replace the 20 & 50 c coin with a 25c coin. These are highly convenient. Norman Alfred William Lindsay (22 February 1879 – 21 November 1969) was an artist, sculptor, writer, editorial cartoonist, scale modeler and accomplished amateur boxer. Born in Creswick, Victoria, led a highly exuberant life as one of Australia's greatest artists producing a vast body drawings, etchings, watercolours and sculptures. He wrote the Magic Pudding in 1918 and became involved in many issues and circumstances of his day. Edward "Ned" Kelly (30 June 1854 – 11 November 1880) was an Australian famous for his daring clashes with the Victoria police which turned him into an iconic figure in Australian history, folklore, literature, art and film. Many believe that the Kelly gang stood up to corrupt officials and made Victoria a more egalitarian society, for example, the Jerilderie letter which describes his view of his activities and the treatment of his family and, more generally, the treatment of Irish Catholics by the police and the English and Irish Protestant squatters. Read the full letter here. When his gang of four were on the run, they hid in the bush and made their own plate metal armor to stop police bullets. After a shootout with police at Glenrowan, Ned was wounded and captured as the sole survivor of his gang. He demanded his photograph be taken (left) before being convicted of crimes and hanged at the Old Melbourne Gaol in 1880 at the age of just 26. John Warcup "Kappa" Cornforth, (7 September 1917 - 14 December 2013) won the Nobel Prize in Chemistry in 1975 for his work on the stereochemistry of enzyme-catalysed reactions. Cornforth lost his hearing by the age of 20 due to which encouraged him towards the discipline of chemistry. By his own admission, he carried out reactions as a child in his mother's laundry. He completed undergraduate studies at University of Sydney and traveled to England for PhD studies which were not offered in Australia until immediately before he graduated in 1941. One of Cornforth's great achievements was in the structure elucidation of penicillin which was known to be a single compound and he later developed a synthesis of penicillin. Cornforth is commemorated by the annually awarded Cornforth medal for chemistry. Arthur John Birch (3 August 1915 – 8 December 1995) was an organic chemist well known for developing the 'Birch reduction' reaction, which is hydrogenation of an aromatic ring using lithium and ammonia. He completed undergraduate studies at University of Sydney and traveled to England for PhD studies which were not offered in Australia until the year he graduated, 1940. His research focused on steroids and his Birch reduction allowed synthesis of several progestogen compounds which had not been previously synthesized, such as those used in birth control pills. After a research career spent partly in Australia and partly in England, he returned in 1967 when he founded the Chemistry department at the Australian National University in Canberra.